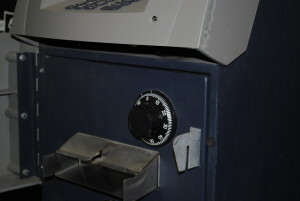 Lockpicking with TOOOL – ATM Edition. When I found an ATM in the trash near my office, I knew just what had to be done. 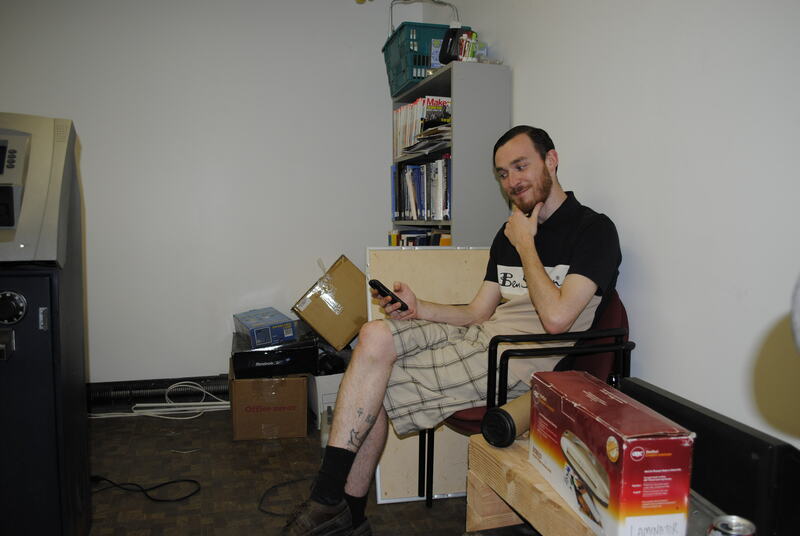 It had to come to the hackerspace. After some help from a friend with a truck, we got the ATM delivered to the space just in time for Lockpicking night with TOOOL – The Open Organization of Lockpickers. (Fig. 1. — pictures after the break) We set to work on the two (surprisingly basic) pin tumbler locks on the front of the panel, and sprung them in no time. (Fig. 2) Under the the bottom panel we were greeted with a welcoming safe-door style combination dial. (Fig. 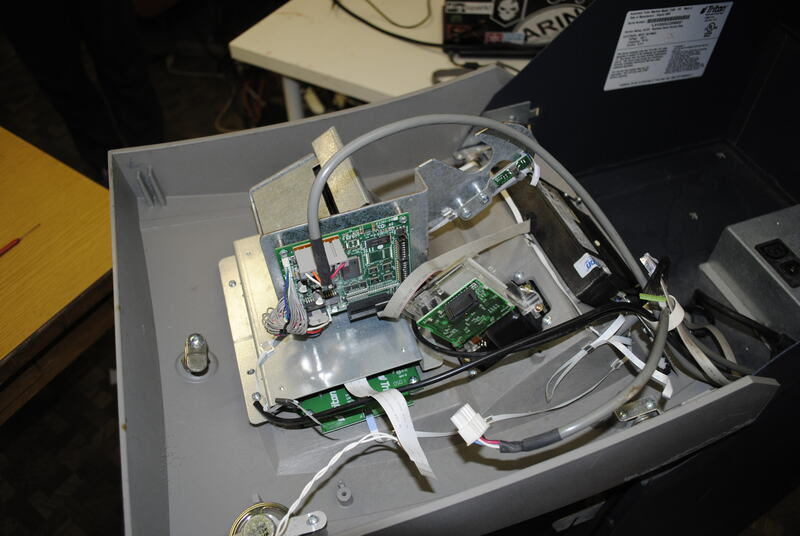 3) Under the top panel are a power supply, circuit boards for the display, the card reader, the pin entry pad and the LCD buttons, and the receipt printer. (Fig. 4) Sadly, the main computer had been removed before the unit was thrown out. 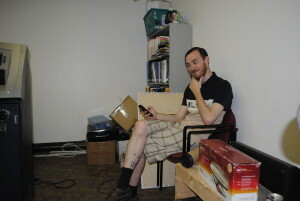 That being said, TOOOL is not a computer oriented group, so we were plenty pleased with the new challenge presented to us by the combination lock. Steve decided to give it a go first, boldly citing his experience in safe cracking school. (Fig. 5) Dave, not being the patient type, and not being entertained by Steve just poking at his phone, decided to take a more destructive route to enter the ATM with a plasma cutter (Fig. 6) and was rewarded with a large empty space and yet another steel plate. We will be revisiting opening the door next time, and continuing to seek inspiration for awesome ATM projects. 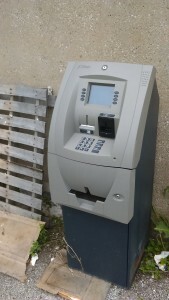 Let us know what you’d like to see an ATM turned into! Fig. 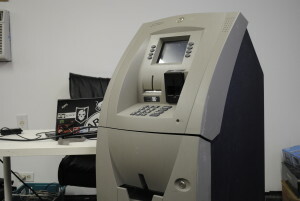 1- Here is our ATM, as found and delivered to PS1, sitting in our recently painted Lounge. Fig 5. 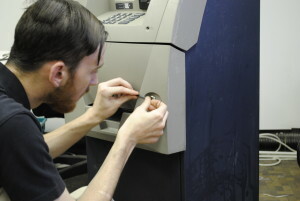 Steve hard at work with his honed safe cracking skills. Fig. 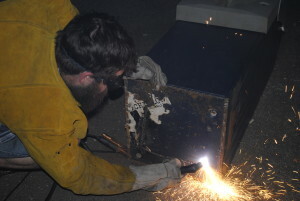 6 – Dave plasma cuts into an empty box. Turn it into a soda machine!